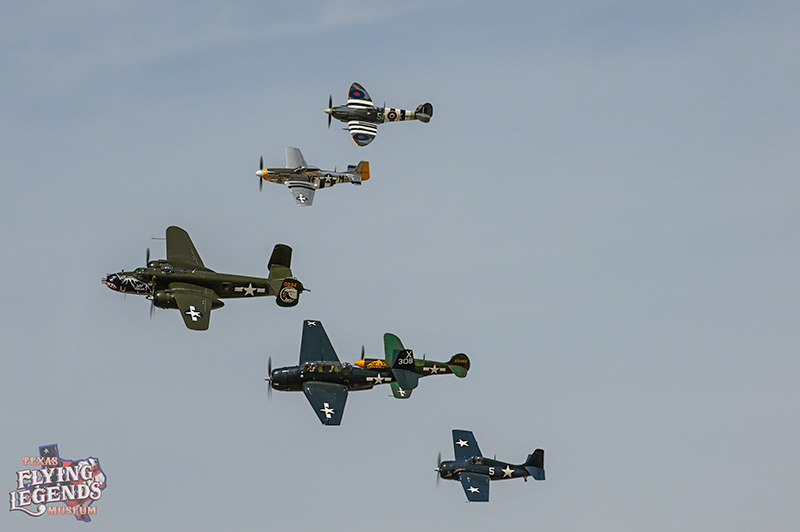 An air show is a menagerie of a thousand different things happening all at once. However, looking at it from the outside, all a spectator will see is the performances of many talented individuals showcasing their skills for the thrills of thousands of people. 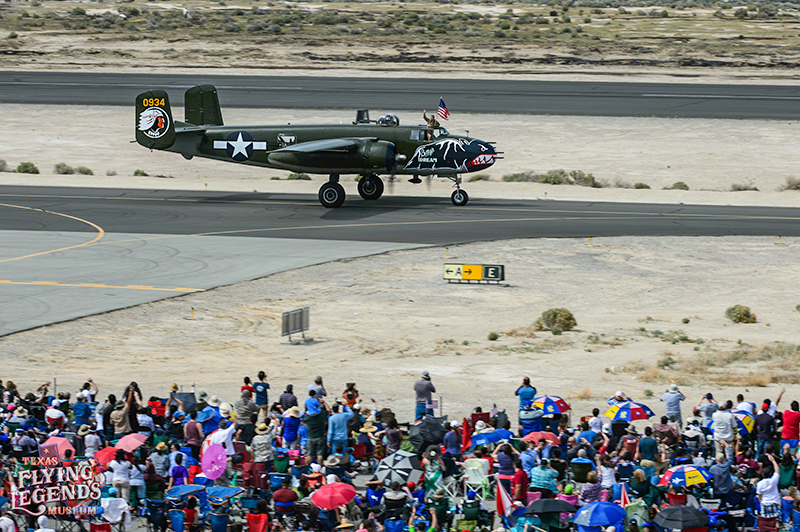 For the volunteers, staff members and performers the story behind what makes an air show a success is far more intense than simply a ten-minute flight over the airport. Every air show, fly-in, gathering, and dedication ceremony starts long before the actual day it happens. For most, it starts with a simple announcement of the event and from that point begins months of prep work ahead. 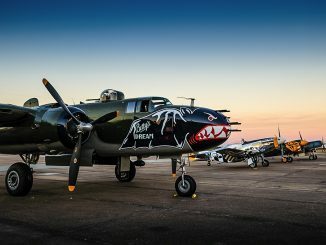 For the Texas Flying Legends Museum, a non-profit flying museum of thirteen aircraft based in Houston, TX, the air show season starts where the last one finished. The museum shifts the fleet between three main bases of operation over the course of the year: Ellington Field in Houston, TX, Dakota Territory Air Museum in Minot, ND, and Wiscasset, MN. During the winter months the fleet stays in Houston where maintenance can take place following the end of the long flying season and before the next one begins. 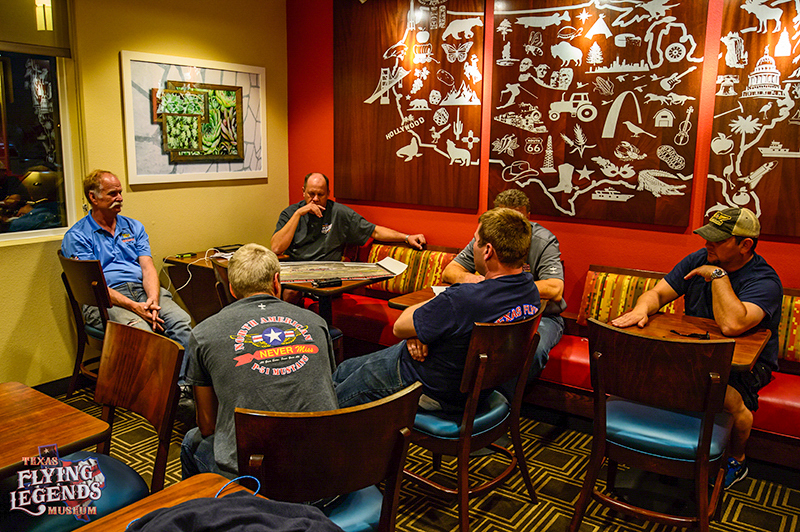 While some of the work happens in Houston, major overhauls are reserved for Minot, where there are better facilities to handle such work. 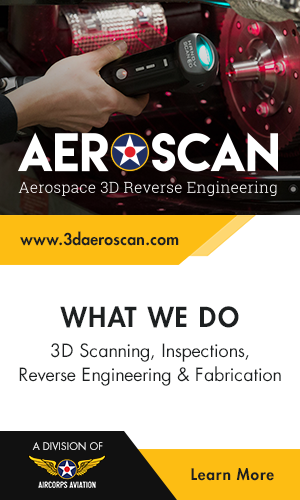 While the aircraft are down for winter maintenance, the team evaluates every performance they took part in to see what went well and what did not. The hardest critics in this group are the pilots themselves. They are constantly striving to improve, flying cleaner lines and tighter formations, so their fans are never disappointed. It is this dedication that keeps the whole operation moving forwards. 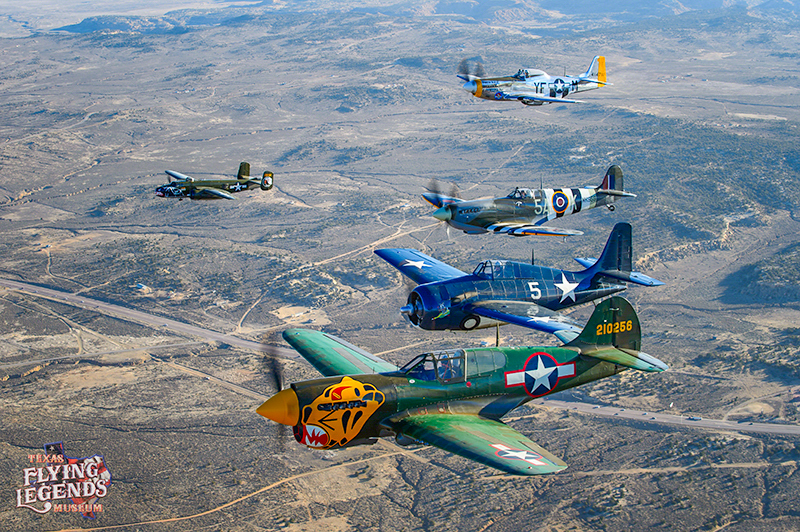 This year marks Texas Flying Legends Museum’s west coast debut. 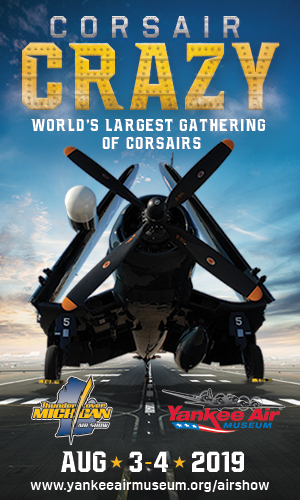 Their performance at the Los Angeles County Airshow was the first time the fleet had even ventured west of the Rockies. While the show itself is only three years old, this year’s event shattered all of their expectations with an attendance record of over one hundred and thirty seven thousand people. Held at William J. Fox Field outside of Lancaster, CA the Los Angeles County Air Show is working to become one of the signature displays in southern California. 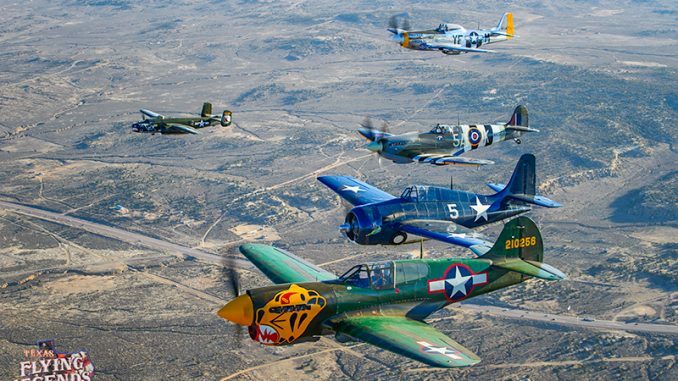 For the Texas Flying Legends Museum, this air show was a perfect start, as their unique fleet of aircraft allows them to bring multiple aircraft to any event, helping to attract more people. 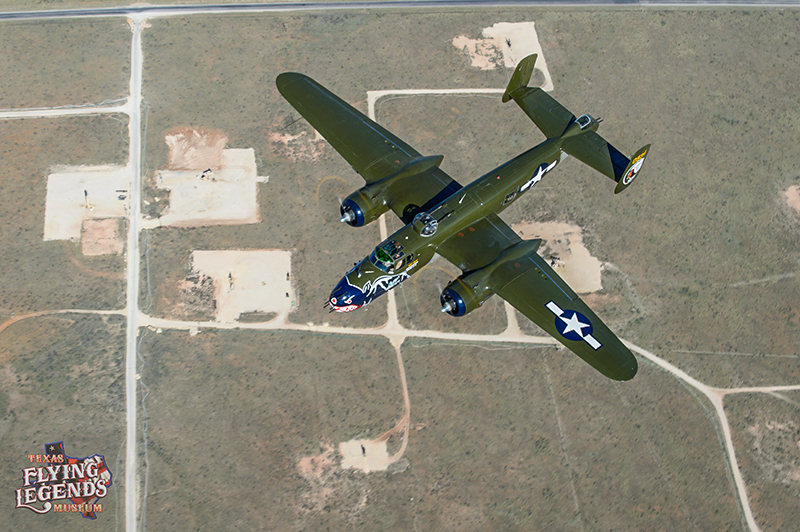 Before the air show began, the TFLM aircraft, which included their B-25 Mitchell, P-51 Mustang, P-40K Warhawk, TBM Avenger, A6M2 Model 21 Zero, and FG-1D Corsair, had to fly from Ellington Field, Texas to Fox Field in California. The trip would take the fleet over some of the most beautiful terrain in the southwest United States. Despite the best preparations, incidents can occur, as the fleet discovered to their misfortune in Midland, Texas. While taxiing, the Zero and Corsair suffered an incident which left both aircraft inoperable. 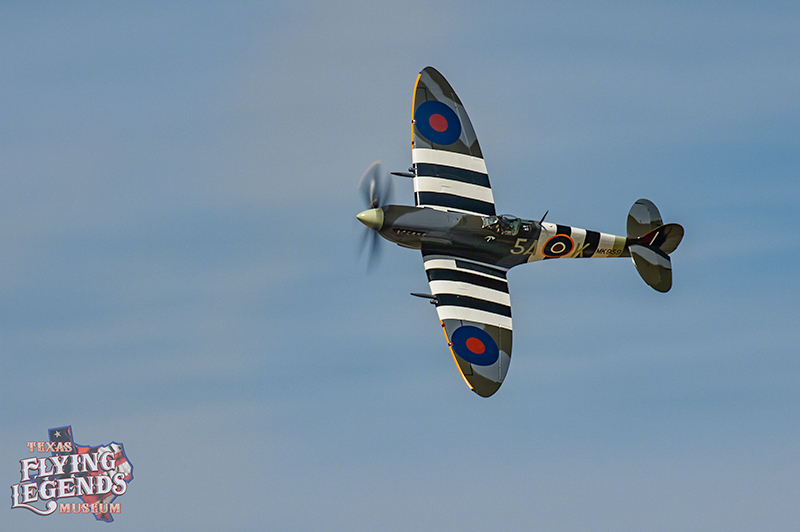 Sadly, the two fighters will be out of action for some time, but a museum news brief released on March 15th stated that both planes will be flying again within the year. Despite this setback, the pilots quickly got to work arranging for other aircraft from the fleet to make up the numbers for their scheduled appearance. 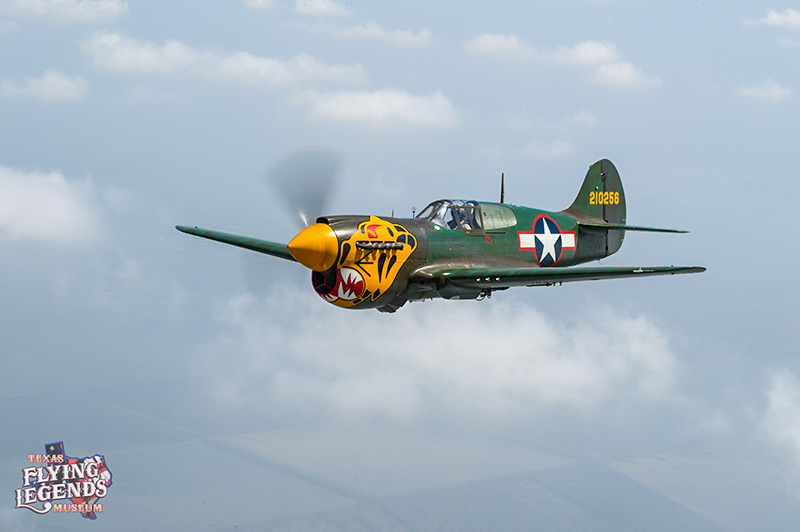 Mike Schiffer flew back to Minot, ND to collect the museum’s FM-2P Wildcat, while Casey Odegaard flew Warren Pietsch back to Ellington Field to gather the museum’s newly acquired Spitfire Mk.IX. Both aircraft met up at Midland, so the fleet could travel onwards to Fox Field together. 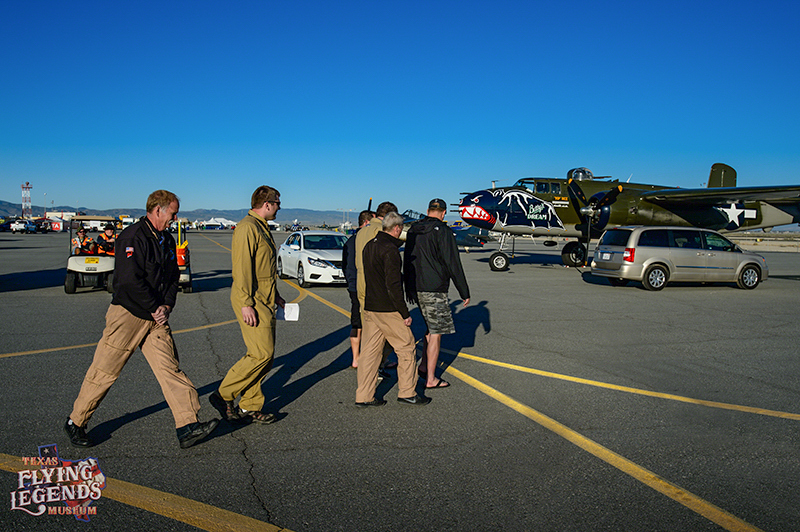 The journey took them from Ellington Field, TX to Midland, TX, Albuquerque, NM, Chinle, AZ, and Kingman, AZ before they arrived at Fox Field, CA on Thursday, March 17th. Mechanical issues arose between Albuquerque and Kingman, with the TBM experiencing an unusual vibration. After making an emergency landing, the maintenance crew discovered that one of the TBM’s cylinders had a problem and that the aircraft needed repairs before continuing on west. The TBM’s pilot, Sam Graves, stayed with his stricken bird, working on repairs until he was able to rejoin the fleet on Saturday, March 19th, where he was able to participate in that day’s scheduled air show performance. While the pilots had their hands full with getting their aircraft to California, each of them was able to rise above the adversity they faced to make their scheduled appearance. The last thing they did after arriving in California on Thursday, March 17th was to brief their modified routine for the inclusion of the Spitfire and Wildcat without the Zero and Corsair. The pilots talked for over two hours about the technical aspects of their upcoming performance and how the aircraft would present to their audience. The following day, the team flew to Apple Valley for a five-hour practice session of the new routine. It’s dedication like this that the crowd usually isn’t aware when they see the six-ship fleet fly overhead in perfect formation. Everyday, simple operations are performed to ensure that each aircraft is flying at its peak and every pilot knows what’s happening. 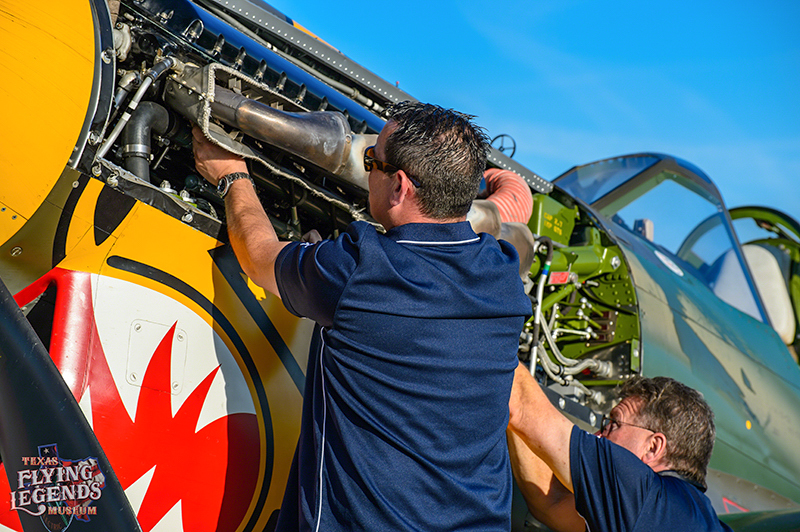 When a plane starts to run a little rough, the cowling comes off and the spark plugs are changed out on one of the heads so that the plane runs smoothly. Each day, the pilots attend a morning briefing with all of the performers and air show staff on hand so that everyone is in the know about the day’s events. Then the pilots rehearse their flying routine by walking their whole performance out on the ground ahead of time. While to some it may look a little silly, to the pilots it is an essential physical reminder of what they are setting out to do, ensuring not only a good performance for the crowd, but the utmost safety for all involved. 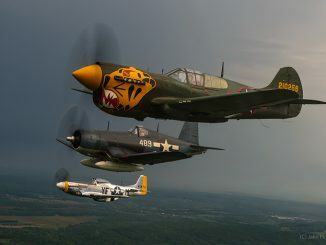 These warbirds fly not just to please air show audiences, but also to honor those who flew them when they were needed most. In order to spread that message, the team takes part in media conversations. 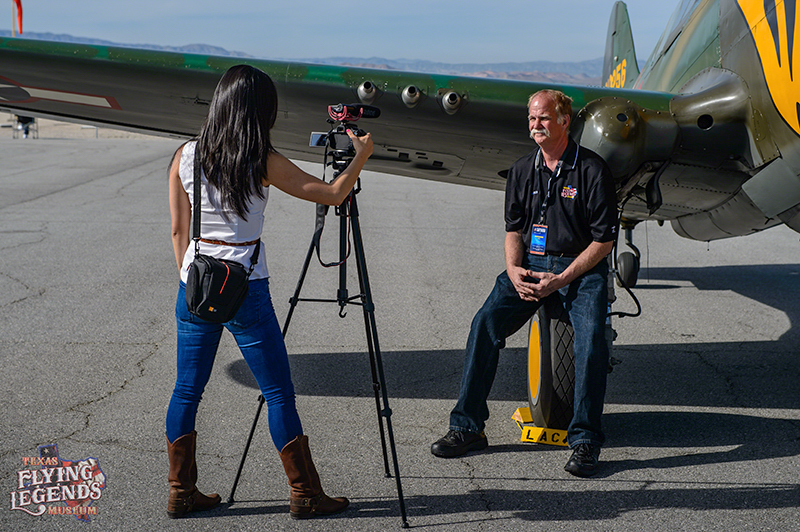 For this show, Jo Kwon of KFI News interviewed Warren Peitsch in front of the museum’s P-40K, to learn not only about the fighter’s significance, but also why the aircraft need to be seen and heard. At the Los Angeles County Airshow, a special media flight took place with Jo Kwon and Robert Hanashiro of USA Today, on board B-25J Betty’s Dream, while the ashes of a deceased WWII pilot were flown alongside in the P-51D Mustang, Dakota Kid II. Most people come to an air show for just one day. For one day they are immersed in a culture and a lifestyle that leaves them in awe. 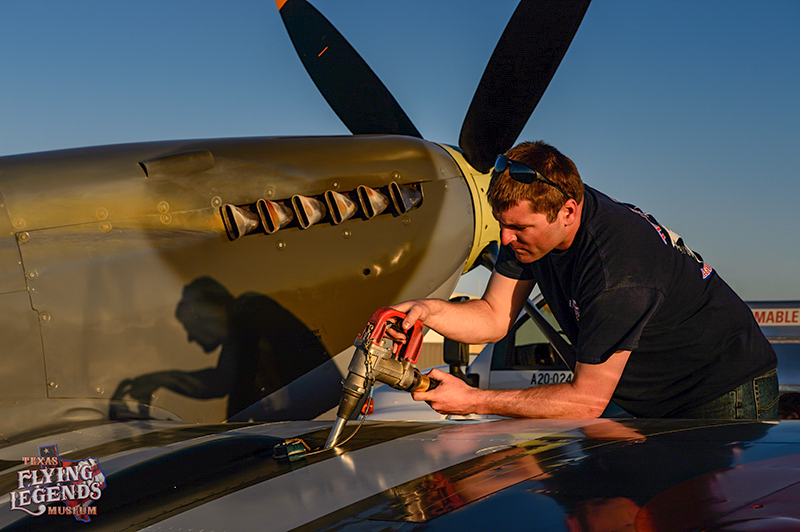 Every air show is made possible only by countless hours of work, and in a moment it is all over. Each air show is a dedication of time and love, but most of all, no air show would be complete without the people that attend. You mean Wiscasset Maine (ME) at KIWI , not Minnesota (MN).